I don't know about you, but I need to use dictionaries and translators almost on a daily basis. 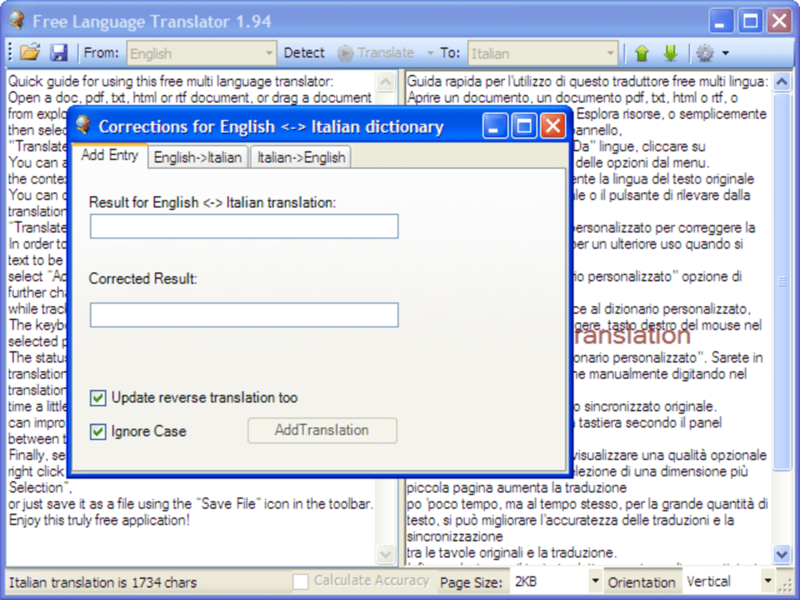 And in cases like these, a tool like Free Language Translator is a real time saver! 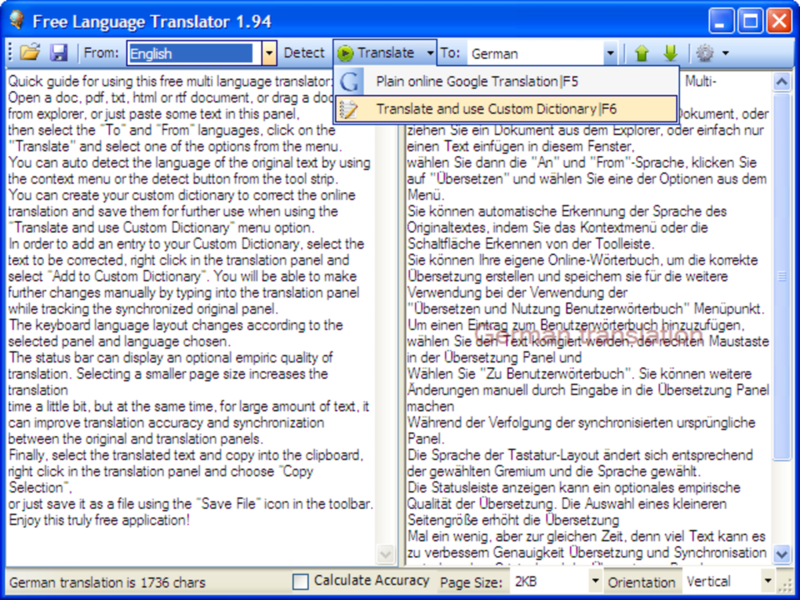 Free Language Translator is a useful translating utility powered by Google Translate which enables you to translate texts between more than 40 different languages – just as many as the Google service supports. 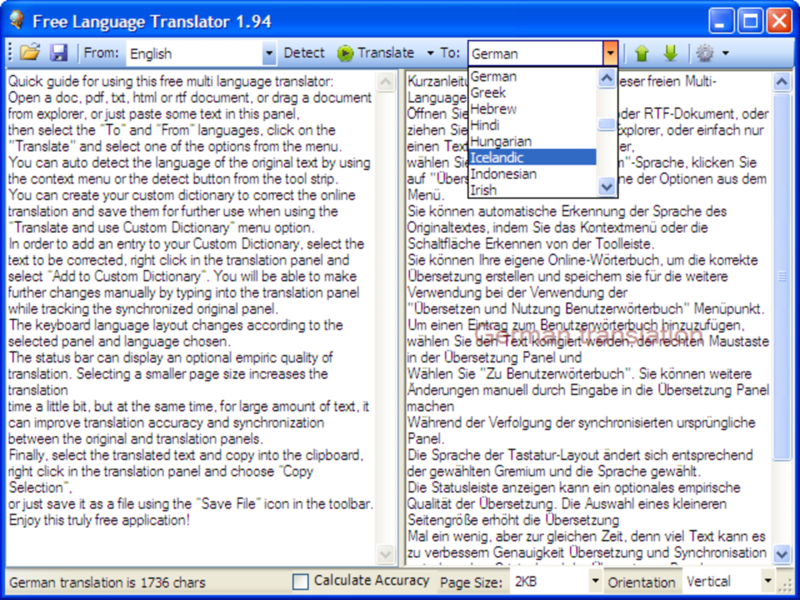 It has some nice features such as automatic source language detection, accuracy calculator and even the option to create a personal dictionary with corrected, improved translations. Using Free Language Translator is really easy. All you have to do is enter the source text on the left-side pane (you can type it in, copy it from the clipboard or drag a drop a document onto the program's interface) and click the Translate button. After a few seconds – provided you're online, of course - you'll get the translation on the right-side pane. You can then copy it back to the clipboard or save it to TXT. 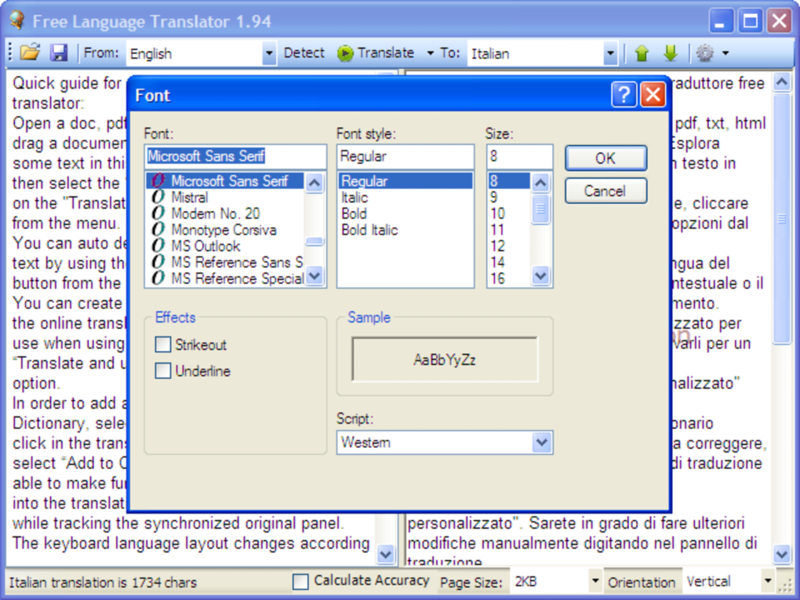 Free Language Translator includes a few personalization options, like the possibility to select a custom text font and pick another keyboard layout when translating to languages that use different keyboards. 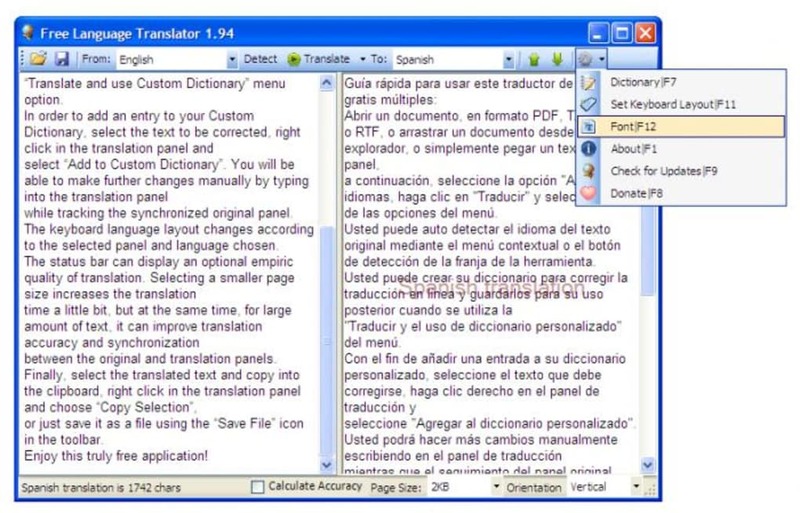 Free Language Translator is a powerful handy translator that uses Google Translate to provide you with instant translations right on your desktop. 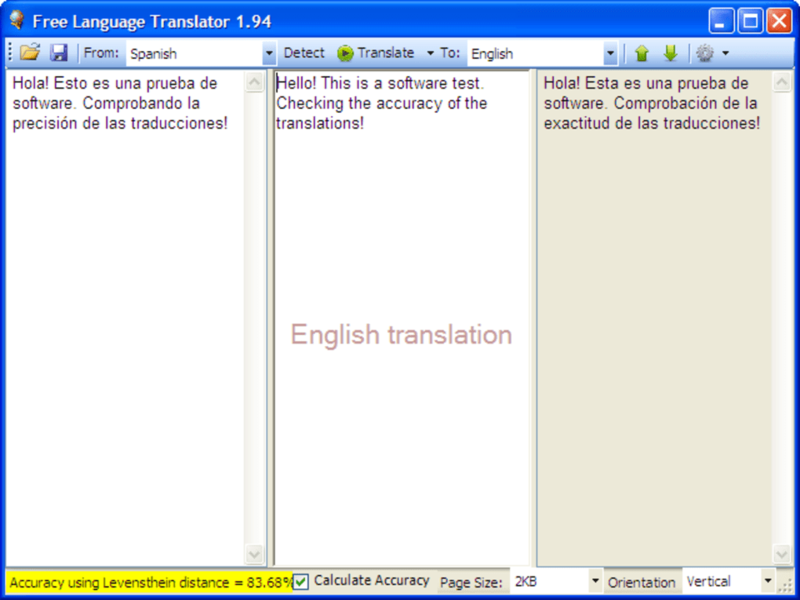 Free Language Translator is a Must!. 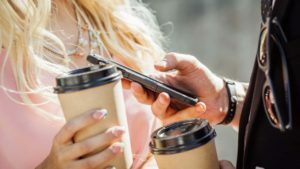 Free Language Translator is a very useful tools for anyone who needs a light but strong App to enhance his English or French. The simplicity of the App. Great on-the-go translator. Very good for translations. It can get you out of a problematic situation. It does it job and it's not complicated to use. You can't ask for much more. 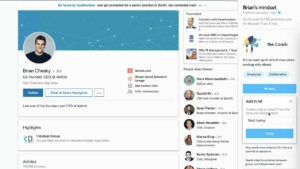 Good tool. Does what it says on the tin!